Grex's new H850LX 2" 21 gauge brad nailer draws from over 16 years of experience designing and manufacturing the worlds best 23 gauge headless pinners that pros have relied on. 21 gauge nails offers a middle ground between the small holes size left by a 23 gauge pin and the holding strength of an 18 gauge brad nail. 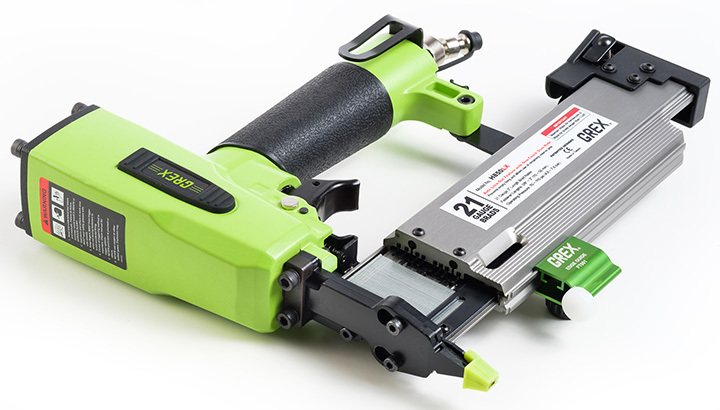 The H850LX is equipped with all the newest features found in Grex tools including the first to include an integrated edge guide. And its built with the same all metal design and quality that Grex continues to be recognized for. Now Explore.